Here's what you Twilight fans have been waiting for! The Breaking Dawn casts on this year's Comic-con! Movieweb recently posted the some videos of the Breaking Dawn Panel on the convention and their interviews. 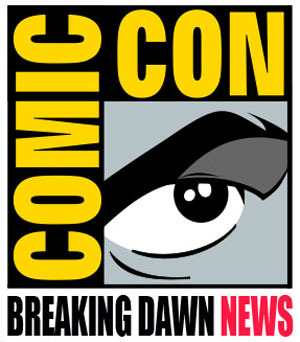 Stay tuned for the Breaking Dawn Trailer that will be shown on this year's Comic-con! Enjoy!